A month deep into The Warehouse Project 2015 calendar and Oliver Heldens has slammed his pin down onto Manchester’s map. Not one person was standing still that night for Heldeep. After claiming to be 'proper stoked' for his UK tour earlier this month, the Dutch master of EDM interpreted exactly why his two of his singles have penetrated into the UK top 5 within the space of half a year. I'm intrigued to know the chart's fascination with new-wave EDM and why Tiesto wanted this 20-year-old mogul on his label. I've heard Oliver Heldens' name (and his Heldeep brand) bandied about by the likes of Pete Tong on Radio 1 – I wanted to know why this guy is so big given his young age. Walking into Store Street brings back a plethora of memories, the venue where the true heart of The Warehouse Project lies. The industrial architecture combined with timeless charm and moreover, top class music. Upon entrance, the sounds of room 2 lured me in naturally – a smaller, generally more spacious area for the beginning of the night's journey. An act I’d never seen before, Brodyr, graced the stage. They weren't on the initial line-up and by default, my ears led me inside. Although they have supported the likes of Yousef and Gorgon City, the sibling duo still only has a couple of thousand followers on Soundcloud. Staple house with a techno twist rang clear, repetitive beats granted, but they kept the crowd on their toes with surprising bursts of pre-recorded vocals and subtly hopping to and from different genres. Leaving room 2 early was an obvious choice, firm favourites and an act whom are always a pleasure to see were due in the main room in 20 minutes. Blonde's success story wouldn't fit in a review. Putting it simply they're a must-see act. However, it wasn't solely staples such as 'I Loved you More' and 'All Cried Out' that echoed memories and effortlessly lifted arms in the air. At first, I didn't really know how to feel when the pair mixed Justin Bieber's 'What Do You Mean?' It was acoustic-y, mellow and the opposite of anything I've ever experienced at Warehouse Project. All of a sudden this felt like an intimate experience in your living room. Line after line, the quality of vocal range set the scene aforementioned. And this was risky business. Who's to say the crowd would appreciate the unexpected? I noticed younger revellers exchanging glances as if to say 'I know this one!' – a kind of intimacy, which felt really quite nice. Back to the trend of switching rooms, Philip George awaited. Still a newcomer, but a name widely acknowledged, George's 'Wish You Were Mine' lies deep within the influence of no other than Stevie Wonder. It's pretty impossible to fail to appreciate the injection of groove his signature track possesses. So far, I was impressed with the variety tonight offered. George cracked out an old banger, Underworld’s 'Born Slippy' towards the end of his set. A sure fire winner with any crowd. It seems time flies inside a warehouse, and not before long, it was time for the headliner, Oliver Heldens, who unsurprisingly packed out the main room. Contiguous bodies flocked. 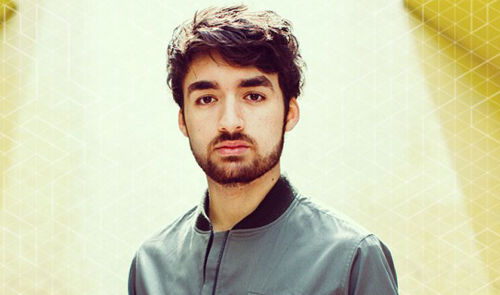 Bopping up and down like an excitable puppy, Heldens dealt out infectious tracks like cards on a table. He isn't one to openly label his music with genres, and whilst an underlying blanket of EDM notably built the foundations of his tracks, there was something else. Oliver Heldens had backing dancers, he had energy and he had confidence. He's seen the top of the UK's dance charts with creations such as 'Gecko'. He's been there, he's done that and he's only stood on earth for a couple of decades. You're a liar if you claim you can't feel the soles of your feet wearing down a couple of hours before the doors are closed. Dragging yourself from room to room after possibly what was one of the most energetic sets of the year is going to be a struggle. For all of two minutes. I don't like the term 'chilled out', but it's easily understood. Alex Adair set the pace for the remainder of the spectacle. His set was 'chilled out', injected with uplifts of creative synth and the easy-to-follow lyrics from work like 'Make Me Feel Better'. If you're unfamiliar, think Duke Dumont, infectious house and uplifting lyrics. Just the note you want your night to end on. The seventh hour came, and if you know, you know. There's no sugar coating the walk into the eerie, blinding and down right freezing early morning Manchester. Yet looking on your phone the next morning and finding blurry videos that bring reminiscence is a feeling hard to beat. It seems you could stretch the Manchester music scene across an ocean. From the minuscule, hidden bars dotted around the city, to venues boasting thousands of people and graced with the biggest acts on a regular basis. 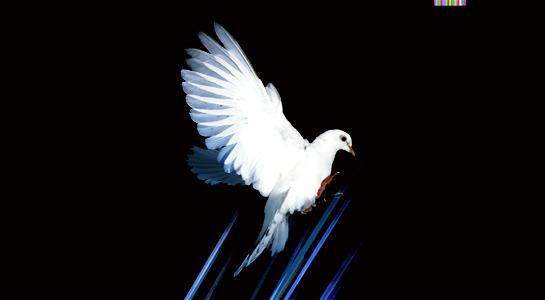 However, once again this season, The Warehouse Project offers a welcoming nudge in the direction that you must go in. Their slogan rings clear: ‘For twelve weeks, this city is ours’. This weekend at The Warehouse Project , Modeselektor take to the stage, with one of their best collaborations to date; Siriusmodeselektor with Siriusmo, plus a live set from Clark presenting Phosphor, Rødhad, and long-term favourite James Zabiela. We're pretty much approaching the halfway mark of their 10th season, but with some huge line-ups still to play it doesn't really show any signs of slowing down. Kaluki, Andy C, Leftfield, Jungle, and Bicep all still have headline shows coming up, and that's not to mention the massive lineups for NYE & NYD - or the string of events that are already sold out.